Zen fault management software delivers improved MTTR for CSPs through alarm reduction, root cause analysis and network performance correlation. In today’s competitive landscape, ensuring continual availability of the telecommunications network is essential. As infrastructure has grown, so too has the number of alarms generated from mobile and fixed line networks. To be successful in maintaining and optimising these networks, CSPs have turned to a new generation of network fault management solutions. Fault management software that can simply detect and report on fault alarms is no longer enough. CSPs need new solutions that can deliver improved Mean Time to Resolution (MTTR) through advanced functionality including fault alarm reduction, automatic root cause analysis (RCA) and the ability to correlate faults directly with network performance metrics. Zen network fault management software provides CSPs with the functionality and independence to detect, report, automate, correlate and rectify network faults, all from one window. Designed to be highly flexible, Zen fault management software can access data from a number of different sources; directly from network elements, from legacy fault management systems such as TeMIP or NetCool, or from a centralised data lake. Network fault data is rapidly displayed in the alarm handling window, from which network engineers can view, acknowledge and action fault alarms in real-time. From the same window, network engineers can also create their own alarm reduction rules to eliminate low level, non-critical alarms. Zen network fault management software enables network engineers to create complex root cause analysis scenarios, allowing sympathetic alarms to be hidden and replaced with root cause alarms, significantly reducing administration and investigation times. By correlating this fault information with network performance metrics, CSPs can then prioritise their workload based on actual performance impact. 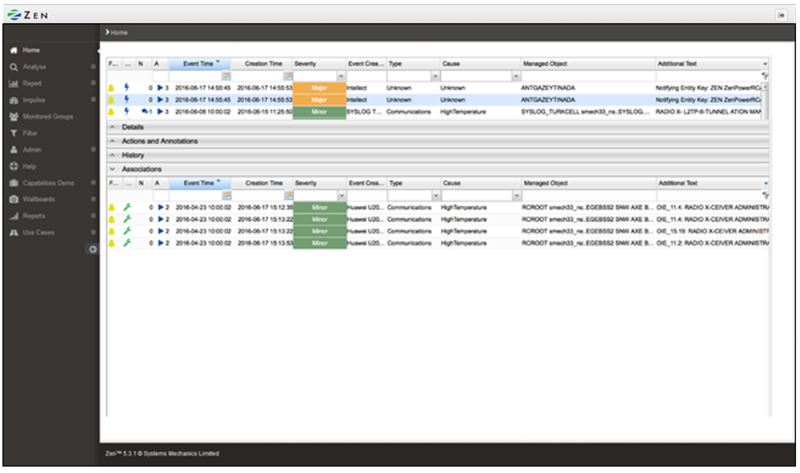 As part of the Zen Operational Intelligence Software, the network fault management module is available as a stand-alone solution, or as part of a wider Zen implementation. With Zen fault management software, CSPs will see a significant reduction in mean-time-to-resolution (MTTR) by eliminating unnecessary alarms and prioritizing high impact faults. Network engineers can eliminate low level alarms appearing in the alarm handling window by creating simple alarm reduction rules. They can also use Zen’s powerful root cause analysis engine, which enables sympathetic alarms to be hidden and replaced with root cause alarms. CSPs can correlate network faults with network performance metrics such as dropped call rate (DCR) and jitter to easily identify the faults which have the biggest impact to subscribers. They can also set up automatic alerts for faults affecting VIP’s or special events, ensuring these are rectified as a priority and maintain a favourable quality of experience (QoE). 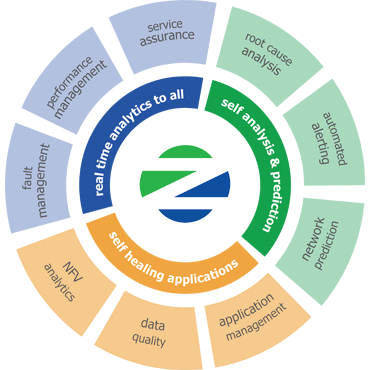 Zen fault management software is vendor agnostic, and can access data from almost any source. 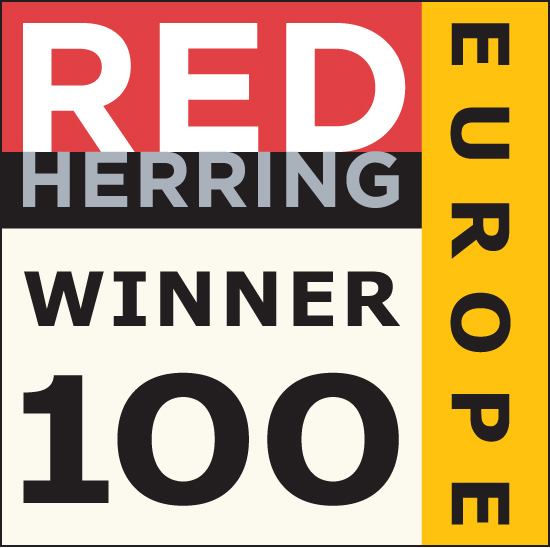 This means the solution can be implemented as a stand-alone solution on top of a strategic data lake, or as part of a wider Zen Operational Intelligence platform to enable true OSS transformation. Network engineers are faced with an abundance of network fault alarms on a daily basis, and this is set to increase as the network expands. Zen’s automated alarm reduction enables network engineers to prioritize their workload, and deduce the cause of an alarm more rapidly. The solution automatically reduces low level alarms appearing in the alarm handling window, instead, just showing a primary major alarm to which the low level alarms are associated. A significant amount of resource if often spent on investigating the root cause of a network fault alarm. This can involve multiple engineer call-outs before a root cause is actually identified. 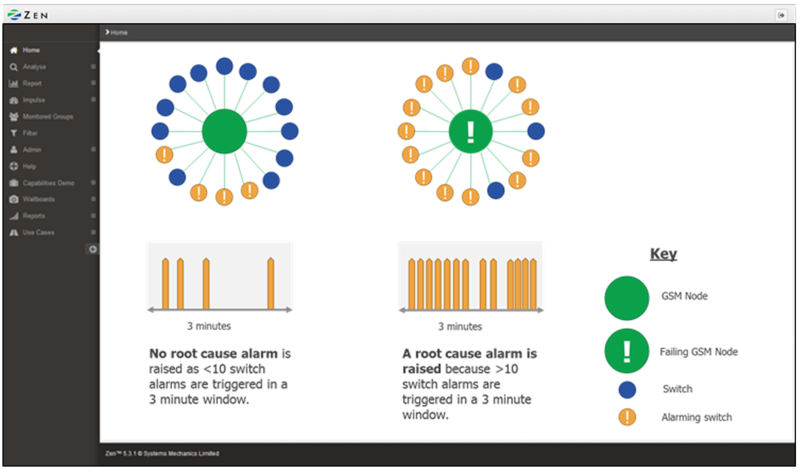 Zen’s root cause analysis functionality enables network engineers to build custom root cause scenarios which alert to the equipment/links responsible for the fault(s). In this example, if a GSM node fails, it cannot raise an alarm, however multiple related alarms are raised by the switches using it. Zen identifies the GSM node as the root cause if a defined number of topological switch alarms are generated in a set time period. For operators looking to consolidate their network tools in a staggered approach, SysMech also offer a data mediation framework. This is vendor independent, giving operators the flexibility required to see all of their big data in one centralised platform.